When asked what he would like his epitaph to read W. C. Fields said "On the whole, I'd rather be in Philadelphia". In the cycling world some of the best international teams have echoed this sentiment. The history of Philadelphia's annual international professional bicycle race goes back to 1985. Riding the wave of cycling enthusiasm created by the great Greg LeMond in the early 1980’s, Philadelphia provided the start for America's top International Cycling Classic. The excitement that accompanied this European style race included aerial television pictures from a fleet of helicopters, a multitude television cameras capturing the action, an impressive cadre of motorcycle police protecting the peloton, a large convoy of multi-colored team support vehicles, rock music blasting all around the course, and enthusiastic crowds lining the 14.4 mile circuit. Over time the race developed a personality of its own and has been described as “one of the most important and exciting annual sporting events in the state of Pennsylvania and the Nation. 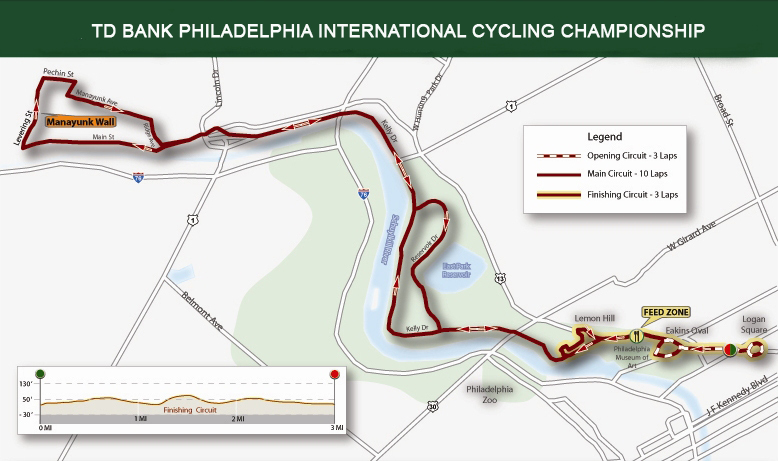 It is a unique Philadelphia treasure.” The 251 kilometer (156 mile) course for this prestigious race winds its way through areas of Philadelphia including the Benjamin Franklin Parkway, Kelly Drive, Fairmount Park, Lemon Hill, and 10 times up the brutally steep (17%) climb of the "Manayunk Wall." This is North America’s premier one-day cycling event. The championship is the longest running (and only UCI Hors Category) single-day pro cycling road race in the United States. In 1985 crowds were estimated at 50,000 viewers, but current crowds are in excess of 500,000 enthusiastic fans. 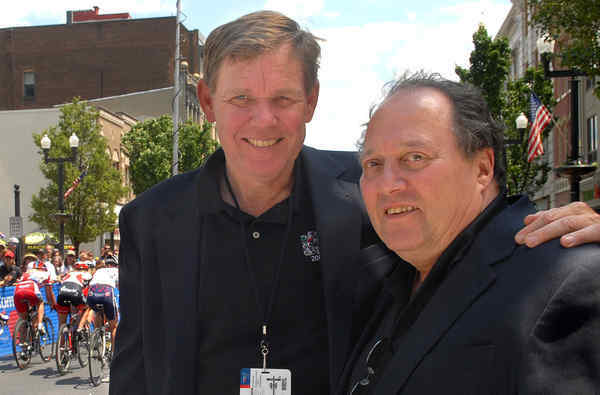 Twenty-seven years ago the Philadelphia International Championship was the dream of co-founders Dave Chauner and Jerry Casale. The passion and prestige that these two have generated for this race are a tribute to their efforts. What rings true for more than one cycling fan is the statement "On the whole, I'd rather be in Philadelphia".